Build your content! Build your audience! Should I put my bet on Ads or Content Marketing? Why isn't my content performing as well as it should be? How to get humans to love my content? How do I get started on smart marketing my content? Lifetime access to over 32 lectures and 3.5 hours of content! Florin Muresan- CEO of Squirrly Limited UK. The company's main product has over 450,000 downloads, over 100 reviews have been written about it. Florin is also a content marketing trainer. 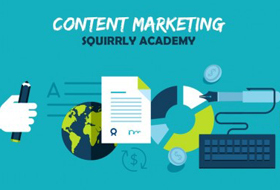 All DealClub members can login and grab this course on content marketing worth $147 absolutely for Free today!